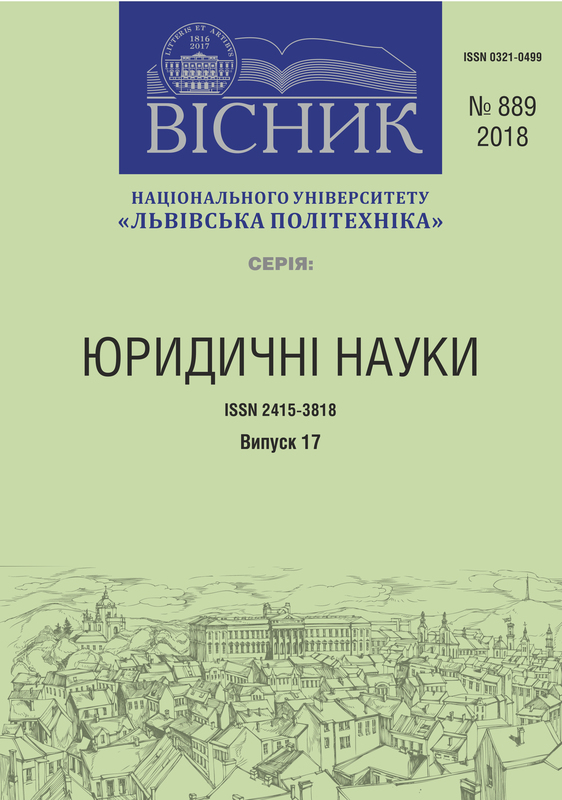 The article deals with the theoretical and legal model of activity of higher educational institutions of Ukraine, its conceptual and legal foundations. Having analyzed the nature of a higher educational institution as the main constituent element of the system of higher education and the key subject of educational legal relations, it is proved that it is a legal entity of private or public law, which, on the grounds provided for by national legislation, attaches to public relations and is entrusted with administrative powers. It is noted that higher education institution as the main component of the general system of higher education and the key subject of educational legal relations can be defined as a special educational and scientific institution, whose activity is directed, in accordance with the legislation, to the conduct of educational activities at certain levels of higher education, the implementation of scientific, scientific -technical, innovative and methodical activities, ensuring the organization of the educational process and the acquisition of higher education. the system of higher educational institutions of Ukraine. 1. Zakon Ukrayiny “Pro osvitu” vid 05. 09. 2017 No. 2145-VIII. [Law of Ukraine “On Education” of 05.09.2017 No. 2145-VIII.]. Available at: http://zakon2.rada.gov.ua/laws/show/2145-19. 2. Zakon Ukrayiny “Pro vyshchu osvitu” (vid 1 lypnya 2014 roku No. 1556-VII, Redaktsiya vid 28. 09. 2017). [Law of Ukraine “On Higher Education” (from July 1, 2014 No. 1556-VII, Revision of 09/28/2017)]. Available at: http://zakon5.rada.gov.ua/laws/show/1556-18. 3. Zakon Ukrayiny “Pro vyshchu osvitu” vid 17. 01. 2002 No. 2984-III (vtratyv chynnist' na pidstavi Zakonu Ukrayiny No. 1556-VII vid 01. 07. 2014). [The Law of Ukraine “On Higher Education” of 17.01.2002 No. 2984-III (expired on the basis of the Law of Ukraine No. 1556-VII of 01. 07. 2014).]. Available at: http://zakon3.rada.gov.ua/laws/show/2984-14. 4. Zakon Ukrayiny “Pro vyshchu osvitu” vid 17.01.2002 No. 2984-III (vtratyv chynnist' na pidstavi Zakonu Ukrayiny No. 1556-VII vid 01.07.2014). [Law of Ukraine “On Higher Education” dated January 17, 2002 No. 2984-III (invalidated on the basis of the Law of Ukraine No. 1556-VII of 01.07.2014)]. Available at: http://zakon3.rada.gov.ua/laws/show/2984-14. 5. Horbachyk A. P. Osoblyvosti menedzhmentu vyshchoyi osvity v suchasnykh umovakh [Features of management of higher education in modern conditions.]. Aktual'ni problemy sotsiolohiyi, psykholohiyi, pedahohiky. 2010. Vol. 11. pp. 5–20. 6. Nikolayenko S. Yakist' vyshchoyi osvity Ukrayiny – pohlyad u maybutnye [The quality of higher education in Ukraine is a look into the future]. Svit finansiv. Vol. 3(8). Zhovten' 2006. pp. 7–22. 7. Dluhopol's'kyy O. Rozbudova vnutrishn'oyi systemy zabezpechennya yakosti vyshchoyi osvity Ukrayiny u svitli oriyentyriv yevropeys'koho standartu [Development of an internal quality assurance system for higher education in Ukraine in light of European standards.]. Vyshcha osvita v Ukrayini: poryadok dennyy dlya reform. za zah. red. Nikolayeva Ye. B. Kyiv: Predstavnytstvo Fondu Konrada Adenauera v Ukrayini, 2017. pp. 28–33. 8. Zakharchyn R. M. Problemy i perspektyvy rozvytku vyshchoyi osvity na innovatsiyniy osnovi [Problems and prospects for the development of higher education on an innovative basis.]. Naukovi zapysky L'vivs'koho universytetu biznesu ta prava. 2011. Vol. 7. pp. 13–15. 9. Heyets' V. Sotsiohumanitarni skladovi perspektyv perekhodu do sotsial'no-oriyentovanoyi ekonomiky v Ukrayini [Socio-humanitarian components of the prospects of transition to a socially oriented economy in Ukraine]. Ekonomika Ukrayiny. 2000. No. 2. pp. 4–12. 10. Siryy Ye. V. Innovatsiynyy rozvytok osvity v Ukrayini: roz·hortannya problemy ta zasadnyts'ki oriyentyry. [Innovative development of education in Ukraine: deployment of the problem and orientational guidelines.]. Available at: www.socd.univ.kiev.ua/sites/ default/files/library/.../aktprob.11.65.pdf 11. Terent'yeva N. Osnovni tendentsiyi rozvytku universytet·s'koyi osvity kintsya pershoho desyatylittya KhKhI stolittya: yevropeys'kyy vymir [The main tendencies of university education development at the end of the first decade of the XXI century: the European dimension]. Pedahohika i psykholohiya. Naukovo-teoretychnyy ta informatsiynyy visnyk NAPN Ukrayiny. red. kol. V. H. Kremen' (hol. red.) ta in. 2012. No. 3(76). pp. 22–27.